Vermont is another great state to fly fish in America. Having such great rivers as the Battenkill and the Clyde River's make this such a great place to fly fish. The Brown Trout fishing in this area is among the best in the region, so make sure you check out some of these great streams. Out of the 50 states, name ranks 29 as far as the most searched states to fly fish. Take a look at the google map below of one of the rivers listed and the state stream flows. Find out more about each of these rivers by clicking on their link. This will take you to a page that has a hatch chart and/or a google map of the area. The Battenkill River begins in the Green Mountains and flows about 50 miles into New York. There is a lot of history in this area and it is home of the Orvis headquarters which sits along side banks on Route 7A. This is a year round stream that holds native browns and brook trouts and is fed cold water from underground springs that cool off the stream in the summer. Battenkill River, including google map and hatch chart. One of the best rivers in the state is the Clyde River. Clyde begins in Specatcle Pond and flows into Island Pond in Brighton. The river runs northwest through Charleston and eventually empties into Lake Memphremagog located in Newport. Outside of a 3 mile stretch of water near the mouth of the stream, this water is a very slow passing through a series of ponds, several of them are very large ponds. The river is nearly 25 miles long and it does have some class III rapids. Otter Creek, located in Vermont is another of the great fishing streams in the state. The river begins near Rutland and eventually empties into Lake Champlain near Vergennes. The river has many types of fish including Small mouth Bass, Pike, Steelhead, Brown Trout and Gar to name a few. Since this is mostly warm water the trout are not as plentiful, but there are some nice ones to be had especially near the tributaries. 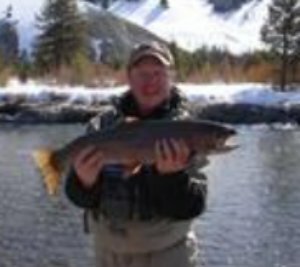 Here are some places to fly fish in this state. 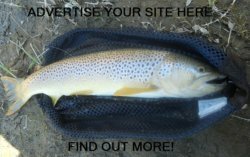 Go from Vermont Fly Fishing to the home page.